There are three types of plastic used in can liners: High-Density (HD), Linear Low-Density (LLD), and Reprocessed. High-Density plastic makes a “crinkly” noise when you move it – like a supermarket bag. HD plastic is also harder to start or puncture a hole in than Linear Low-Density (LLD). Once a hole is started in HD plastic, it will spread quickly or “zipper”. While High-Density can liners are thinner than Low-Density can liners, HD plastic can hold the same or greater weight. The thickness of this type of plastic is measured in Microns. 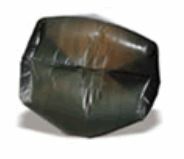 This type of plastic can liner is best suited for cans without edges, paper, food, and smooth heavy objects. High-Density can liners offer substantial cost savings on a per-liner basis. Linear Low-Density plastic can liners are quiet when moved, without a “crinkly” sound. It is easier to start or puncture a hole into than High-Density, but a hole with spread less quickly. The thickness of LLD plastic is measured in Millimeters. This plastic type is the most common. It has multiple uses and is recommended for sharper objects and tough transport conditions. Repro plastic is reprocessed or made from recycled material. According to the EPA, 10-100% of the plastic is post-consumer recycled content. Reprocessed plastic can liners have a lower capacity for weight, but are also cheaper. Thicker reprocessed plastic can liners are needed to list the same amount of weight as a virgin resin bag (compared to the other types of plastics). Select the proper can liner bottom seal type for its use and seal efficiency. A star seal is the most common kind of bottom seal for can liners. The bottom of the bag resembles a star shape or “bunched up”. This bottom seal type conforms better to larger, round trash cans. Star seals are not likely to leak. Star seal can liners are the most expensive and highest quality bottom seal type. Star seal liners are designated by two dimensions (i.e. 40 x 46). 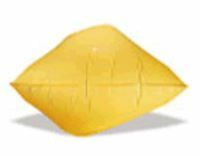 A gusset seal can liner is a flat style bag with both sides tucked in which forms a gusset. If the bag is lying flat, it will have a third dimension like an expandable envelope. Gusset seal can liners confirm reasonably well to the shape of the trash can. However, this type of bottom deal may leak and has a potential for a weak bottom. Gusset seal can liners are the least expensive bottom seal types. Gusset seal liners are designated by three dimensions (i.e. 23 x 17 x 46). Flat seal liners will lay out perfectly flat like a tube with a seal on one end, or resemble a pillowcase. This type of bottom seal does not conform to the shape of the trash can. Flat seal can liners hold 20-30% more than a star sealed can liner. This seal has a medium leak potential. It is designated by two dimensions (i.e. 40 x 46). Can liners are packaged to dispense in different ways. Be sure to choose the appropriate package dispensing method for your desired use. Flat Pack can liners are individually folded and boxed for one at a time dispensing. Coreless can liners are packaged with no cardboard cylinder. The liners have perforated edges or are interleaved for non-perforated dispensing. Cored roll can liners are rolled together on top of a cardboard cylinder (similar to paper towels). Can liners that are core rolled have perforated edges. 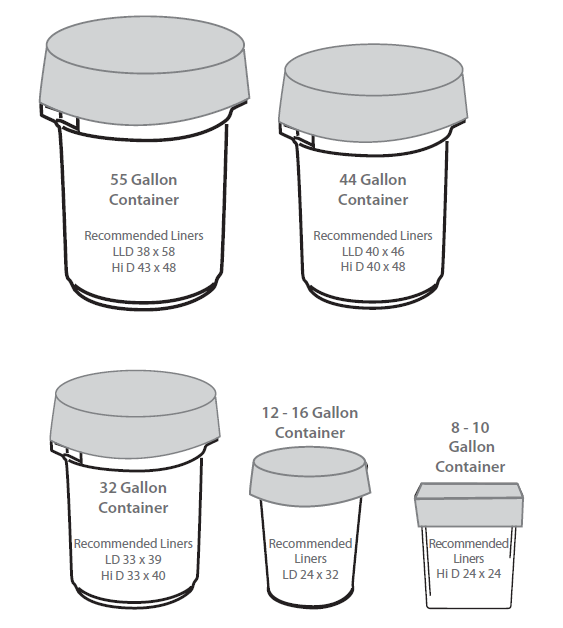 Some manufacturers will state liner sizes in “gallons” in an attempt to offer smaller liners that use less plastic. Star sealed can liners are the most expensive and highest quality since they conform better to larger, round trash cans. Gusset sealed bags are the least expensive and will tend to leak, unlike star seal or flat seal. High density liners are lower in cost than low density liners. Recycled plastic or repro liners yield a bag with a lower capacity for weight at a lower cost. A thicker repro liner is needed to lift the same amount of static weight as a virgin resin bag. Some manufacturers avoid stating the actual thickness of the liners, an attempt to sell less plastic for a higher price. There is no governing agency to ensure that a thickness listed on the carton is what is actually in the box. Comparing against other brands will help identify any differences. Less weight equals less plastic. Many manufacturers will test liner samples in their lab to give you the actual mill/mic thickness of a competitive product for comparison purposes. Calculating the cost per can liner will give you the true cost per use. Film thickness is no longer the only standard for judging overall bag strength. The development of advanced resins and additives has changed the standard method for selecting the correct can liner. 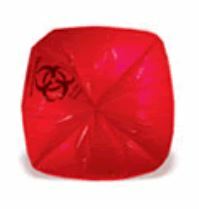 Manufacturers are producing thinner, lighter trash bags that are stronger and more durable than thicker bags made from lesser quality raw materials. Light For crumbled papers, cups, light waste, etc. Medium For packaging waste, wet paper, etc. Heavy For light wood, metal scraps, wet cardboard, etc. Extra Heavy For heavy, sharp, or wet trash. Super/Extra Heavy For heaviest cleanup jobs in warehouse, cafeteria, or facility ground.